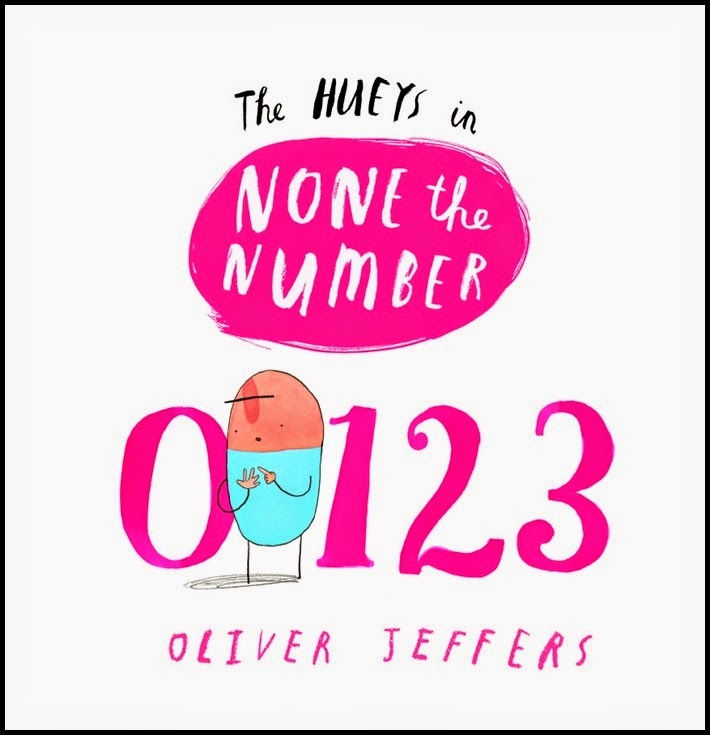 Oliver Jeffers, with the help of the Hueys, is answering the question, "is none a number?" Oliver Jeffers has written and/or illustrated a number of books for children. [Here] is his bookshelf. I have to admit that I did not fall in love with Jeffers' books as soon as I should have. (I attended a couple too many teacher workshops where were were put into groups to do an activity based on Jeffer's first book, How to Catch a Star. Not everyone likes group work -- especially with people you don't know!) Now I want my own copy - but not for group work. Stuck became a class favourite this year. How do you get a kite out of tree? 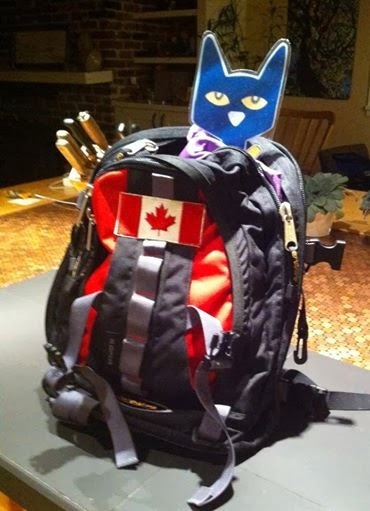 I just bought This Moose Belongs to Me on a trip to Jasper (wonderful town in the Rocky Mountains in Alberta) last month. Another brilliant-make-you-think story. And then None the Number called out to me at the Library. I didn't even plan to go into the children's section! Doing my best to make up for lost Oliver Jeffers book appreciation time. Visit oliverjeffersworld.com (just spent way too long there - again) to learn more about Oliver Jeffers and to enjoy some activities based on his books. Back to None the Number. The book begins with a question. "How many lumps of cheese do you see just there?" "um ... I don't see any." Then we get the explanation. "That's because there are none!" The Hueys proceed to count objects to ten. I love that there is an unwritten story behind the pictures for each number. What is happening on the "big day"? How long have they been waiting? I bet it is going to be very exciting. Why are the fishermen waiting for the bus? Do they know each other. Where are they going? How many fish will they catch? When everything is together - it is quite a collection. But when everything is taken away - there is none! So, yes, none is a number. Or maybe it defines how much "zero" is. 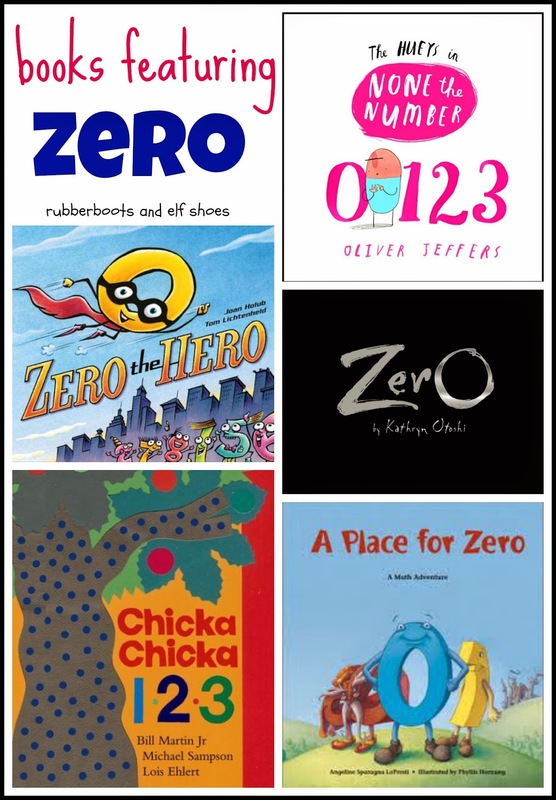 Here are some other books that feature zero. Enjoy Cookie Monster and Zero Cookies. Poor Ernie. 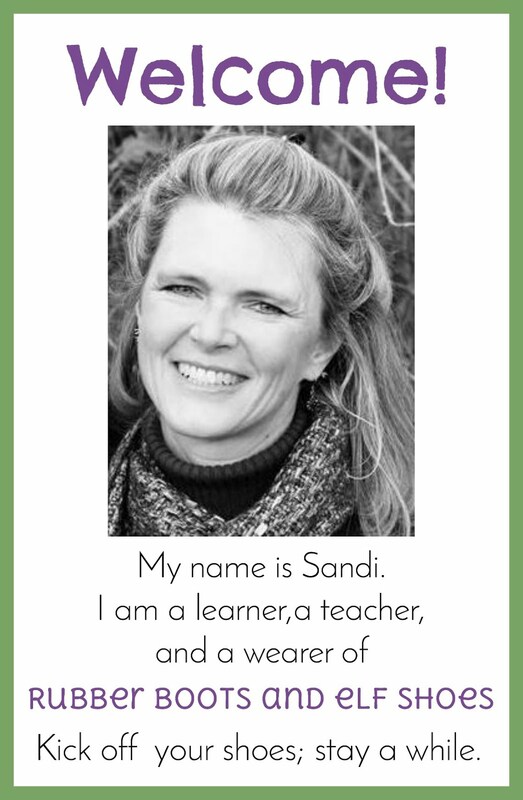 Thanks for sharing this book, Sandi. I have The Day the Crayons Quit, which I love, but none of the others. BTW, I hate group work, too! You will love Oliver Jeffer's books, Barb. I love math books! Thanks for sharing. Great post! I love the questions that you used with the book! Thanks. I love how Oliver Jeffer's books leave questions unanswered. And I love hearing the kids' answers. I still haven't gotten a chance to read any of Jeffers' books, but I hope to soon! 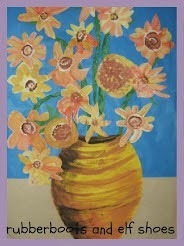 Thanks for sharing this at Booknificent Thursday last week! Hope to see you again this week. I love, love, love Mr Jeffers!!!! !